22.30 hrs. 24 May 2008. I was walking from the Arrival Hall all the way upto the International Dep. area. The first flight was about to land anytime and in just a few minutes from then, precisely at 12.05 hrs, the first flight would Depart from our Airport. Adrenalin pumping all around with excitemet and enthusiasm on everyone's faces, that was one night which is among the most memorable ones in my life. 22.30 hrs. 25 May 2009. Recalling those wonderful moments a year later. Can't beleive Time flies. Quite literally in this case. The Anniversary or rather our "Happy Birthday" was celebrated with style, enthusiasm and compassion. 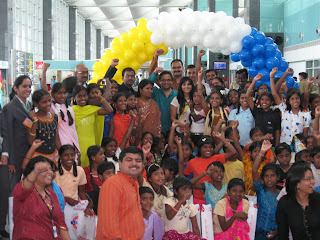 On Saturday, 23 May 2009, BIAL organized a day's tour for a bunch of bubbly children who are part of Visthar, an NGO that's working towards the betterment of economically challenged. 75 children between the age group 06-14 were brought to our Airport and were later taken to the Apron (parking area for aircrafts). They just couldnt control the excitement they were upto even as they were queing up for a Security Check. Then, they were ferried by one of the Coaches to - guess what, a Kingfisher Airbus A330- yes, the same Jumbo that flies Bangalore to London... 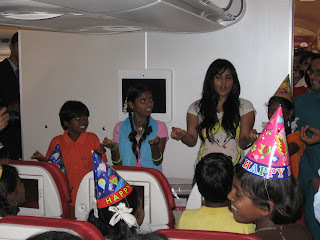 There was a MC who played little games with them and the ever smiling Kingfisher crew served'em lunch onboard. Commendable it was, to see that they served their rare "Guests" in the same impeccable way in which they do otherwise. Wow. I was touched by all the hospitality the girls showed. My profound thanks to the entire team that made it a very memorabble day for these children. The children wouldn't leave her away from their sight. They hugged her, kissed her, held her arms and spent over two hours together. Until they all reached the venue for the Painting competition that was organized by Odyssey. All the children enthusiastically participated in the event, that was segregated for two age groups - for those under 9 years of age, it was a coloring contest and for those who were above 9 years of age, it was a painting contest. 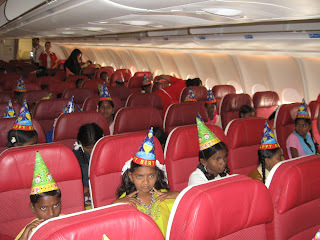 And the theme was "their day at the airport". The winning entries showed the memories the children have carried back. The past two weeks were the most exciting part of my decade long career – in the run-up towards the first ever shopping promotion at our Airport; something that I have been personally looking forward to for the past three years. 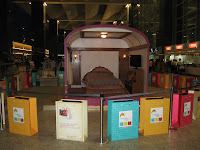 At 00.01 hrs on 15 May 2009, we commenced the much awaited Bengaluru International Airport Shopping Festival – a month long extravaganza that entitles passengers and visitors to Shop and Win exciting prizes. Before I get into the Promo details, let me explain how Airport Shopping Festivals worldwide usually work. Airports have moved ahead from being merely places of transit. 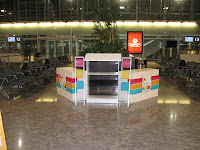 Today, modern airports provide a host of offering, including many airside facilities (mostly technical ones such as piped fuelling into the aircraft even while passengers are embarking and disembarking, aero-bridges (for the convenience of passengers) for as many aircrafts, overnight aircraft parking, maintenance and overhaul and in-flight catering services – to ensure that your food on board (at 30,000 feet above sea level) is fresh and hot as well as world-class Shopping & Dining facilities, Ground transportation from and to- the city and hosting Exhibitions and Conventions. 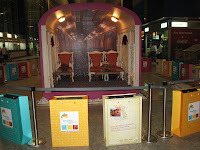 And most importantly, Airports promote Tourism – within their city, state and country. The moment you land at any International Airport, there are chances that you would find brochures and flyers (mostly free of cost) indicating the various options that one could get in that Country/City. Right from the moment one lands in foreign soil, there is information (overload sometimes) that is passed on to visitors promoting tourism. 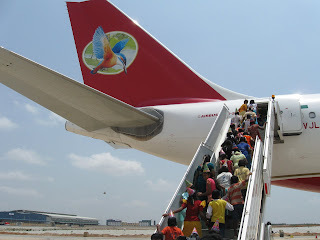 Then, Airports promote and encourage a particular airline – the flag carrier as they call which is the largest in the country or could be the largest in that particular airport. Similarly, the airline reciprocates by promoting the particular airport, thereby bringing more connectivity to passengers (and visitors) to the Airport that directly impacts the Airport revenues. Airports also promote hospitality and related businesses – to share information about hotels, resorts and other must visits in the city. This is important because visitors always tend to judge the country by their hospitality, especially the hotel operators. It is little wonder that we being among the most hospitable countries in the world have such a wide and vast network of hotels and resorts all over the country, which many visitors remember even after they return to their respective countries. Lastly, the Airports and certain Brands come together - Brands that are closely associated with consumers in the country. From Banks to their service providers, luxury and mainline automobile manufactures/marketers, liquor/perfume/other FMCG companies, they are all there – as part of the Airport’s activities; to support their initiatives as well as to get the best possible benefits from such promotions. We went ahead on similar lines, tying up with Karnataka Tourism to promote tourism in our state and with Jet Airways, one of India’s most respected and largest private Airlines. It was quite obvious that the Hospitality providers in India are not in their best of state at the moment, with visitor numbers (to India) coming down drastically and business travellers down-trading their requirements. We spoke to many other “Brands” but they all cited similar reasons owing to the global slowdown. 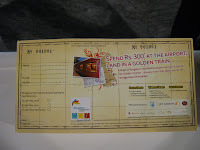 However, we still have something very BIG to offer - The Mega Prize to be won is a Holiday trip for a family of four on The Golden Chariot – a luxury Train that goes to Heritage sites across Karnataka. Then there are weekly prizes – five couples win a trip each on The Golden Chariot and five couples win International tickets sponsored by Jet Airways. And then, we have Daily prizes – one lucky couple win a Holiday at one of the best resorts across Karnataka. 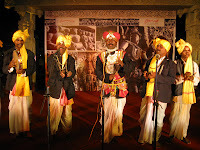 The Golden Chariot, which is managed and operated by KSTDC - Karnataka State Tourism Development Corporation (which is affiliated to the Dept. of Tourism, Karnataka) travels 7D8N across some of the most exciting heritage sites such as Srirangapatna, Mysore, Hampi, Patadakal, etc. in our state and finally ends at Goa. The fare which is USD 350 per night per person includes the cost of travel, F&B onboard, access to several other facilities such as a gym, internet, spa, etc. The service successfully completed its first year of operations in March 2009. Jet Airways (9W), is among the oldest and most respected private airlines in India. Owned and controlled by serial NRI entrepreneur Mr. Naresh Goyal, 9W is most popular for its efficient service, onboard and on ground. Connecting people across the length and breadth of the country, the airline commenced International services many years ago. And to bring flexibility and to add convenience to shoppers, we have a provision where passengers could club their purchases across outlets – which means one could spend Rs. 170 at an outlet and Rs. 130 at another and then collect a coupon for the total spend. This way, the shoppers could spend across the Outlets and finally accumulate all the bills to collect their coupons. 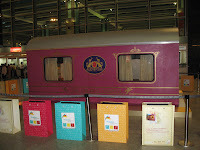 Visitors & Passengers could also pick up a brochure, courtesy the Tourism Dept. - one side indicating the location and special offers across various Outlets and the rear side would have the maps of Bangalore and Karnataka. 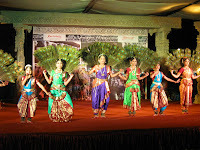 To promote Culture and Folk Arts, there would be performances over the weekends, showcasing the various cultural facets and the rich heritage of our State. 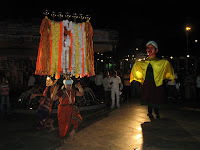 There is also a replica of the Golden Chariot- and the world famous Hampi stone Chariot on display. There are also small outlets that display and sell various handicraft products, so we effectively bundle and promote everything that we have from our state. So, do drop by at our Airport with your family and friends when you find time over the next four weeks, to witness another exciting shopping and cultural season ahead. Madura Garments, the blue-eyed Retail business of the Aditya Birla Nuvo – among the most respected companies and a long-time Retailer in India, recently launched a powerful communication for its most revered Brand – Van Heusen, popularly known as VH. Calling it the “Master of Ceremonies” (probably pun unintended), the new line of Suits and other dress materials has woken up the upper segments of the apparel maket even during this so called “slowdown”. Typically focussed on the Middle and Senior Management of the working class, Van Heusen has many firsts to its credit. Those who are in the know would remember the olden days of classy exclusive Van Heusen boutiques in large and small cities all over India. Although the imported brand rights were licensed into India by the Birlas many years ago, most consumers thought it to be a really international piece, not just for its name but for its sustained styling and creations, needless to mention, an International ambience at its stores and well trained and groomed staff always around to assist customers. Many would know that the Brand also associated with the main character of a recent Hindi blockbuster, Ghajini, and thereby bringing back the culture of waist-coats to Board Rooms. 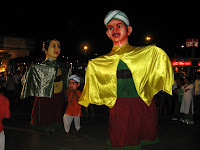 The weather conditions, however, in most Indian cities was a deterrent for this to become usable and popular. A few years back, another flagship brand of the company, Louis Phillippe associated itself with the powerful character played by the lead role in the Hindi movie DON. And many other Brands used and are continuing to use the Hindi filmdom, popularly known as Bollywood as well as other local language films to launch and showcase their collections. Coming back to the MC Collection from VH, there is a great effort being taken by the Retailer this time. Similar to how international brands prefer taking appointments from their key clientele and make the brand feel superior, VH has taken a similar route this time around – to entice focussed walk-ins into the retail store. One needs to just call up a phone number and book an appointment for an exclusive “dekko” of the collections avaialble at the store. As is anyone’s guess, the conversion is almost certain, given the Brand’s equity in the market and the conviction of shoppers to posess this Brand. And most importantly, the pricing is not too high – ranges from INR 9,000 - 15,000 (USD 180 – 300). Freebies such as a matching Tie and a breast-pocket handkerchief, as always are packaged smartly along with the main offerring. This is being tested for two months in a row – May and June 2009 and in all probability, the Brand may retain such an exclusivity in future at certain stores in large cities. Now, my point to make here is the attention given to the customer in today’s scenario. Losing regular shoppers to competition is usual, but losing shoppers due to an economic slowdown doesn’t happen frequently, not even in a few years’ cycle. This is the time Retailers must take care of the customers more than normal – pamper them as much as possible with innovative, yet simple ways to get them into the stores. As you would agree, atleast in most parts of India, many are holding back their spending – a typical phenomenon of sitting on the fence. Show them the value, and communicate with them in such a way, that they get down from the fence and walk into the stores, and that’s really half work done. And then, the Merchandising has to lead from there. Very few have realised this in today’s market condition. And they are sure to reap benefits. Like in Management, there are three types of Retailers – those who achieve success, those who watch, and then those who wonder! Clearly, our example here has always been the first – and it continues to strive excellence.